Gain even more savings by bundling your lodgings and airfares. 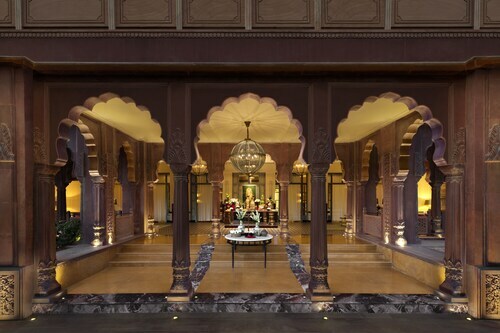 Expedia has heaps of amazing Bikaner holiday packages that'll simplify things and give you more cash to spend! Secure a travel package on Expedia and save as much as 21.4%*. Select from more than 400 partner airlines and 321,000 worldwide properties on our extensive database of flights and accommodations. Fly with who you want, stay wherever you want — now that's the perfect holiday! Almost ready to take off on your Bikaner holiday? Wondering what things to put on your travel schedule? Don't worry — we'll give you some hints. The wider region offers lots of opportunities for outdoor adventures. Why not make plans to go mountain biking while you're here? Still have time to spare? If you're eager for more action, grab the opportunity to go mountain climbing too. If you're arriving by plane, you'll most likely be starting your adventure at Nal Airport (BKB). After you've retrieved your baggage and headed out of the terminal, the heart of Bikaner will be waiting 25 miles (40 km) away. Very different and unique feel of this hotel and the staff are extremely nice and friendly and take very good care of guests. 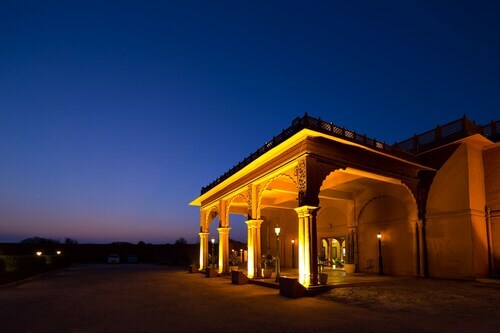 Situated in Bikaner, this resort is within a 15-minute walk of Ganga Government Museum and Junaghar Fort. Shri Laxminath Temple and Jain Temple Bhandasar are also within 3 miles (5 km).